OPUS 5 is an all-inclusive music and arts summer camp in partnership with the Santa Monica Youth Orchestra. This summer will be our fifth year offering our camp. Our first summer camp, OPUS 1, took place in 2014 and was a huge success! In 2015, OPUS 2 doubled in size, catering to a wide age-range of students. OPUS 3 was the first year that we centered our focus on World Music, and the students loved the idea! OPUS 4 Music Camp covered one continent each week: Asia, Africa, and the Americas. ​OPUS 5 will offer by far the most world music elective classes and world music performances yet. This year, we hope to continue to grow in size as well as offer a diverse music and arts education to students of all backgrounds and skill levels. For more information on camp pricing and discounts, please see the enrollment page. 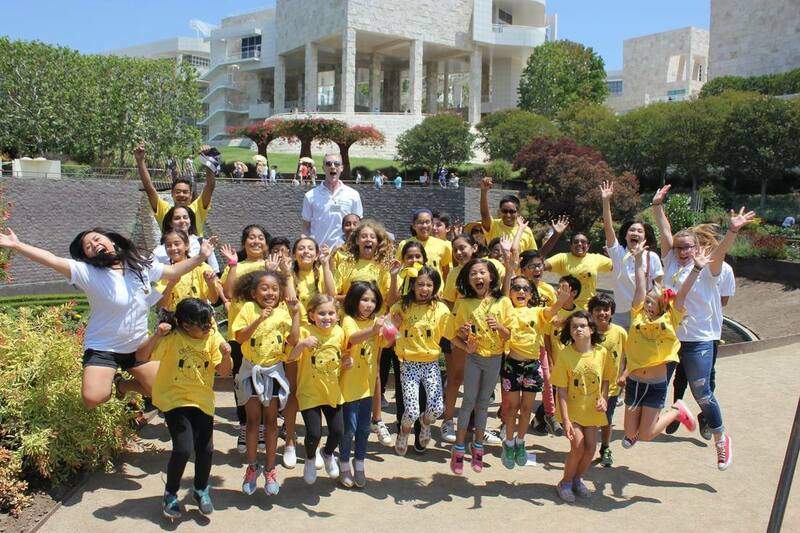 OPUS 4 Music Camp field trip to the J. Paul Getty Museum. FREE Youth Orchestra Program for students with 1-2 years of experience on their instrument. Meets every Sunday from 1-4PM at Virginia Avenue Park. Check out our website: santamonicayouthorchestra.org for more information. An elementary school for grades K-6. For more information about this amazing school, check out their website at www.psone.org.